Indian Prime Minister Narendra Modi lauded the country’s Dawoodi Bohra community on Friday for their contribution and dedication for the betterment of the state. 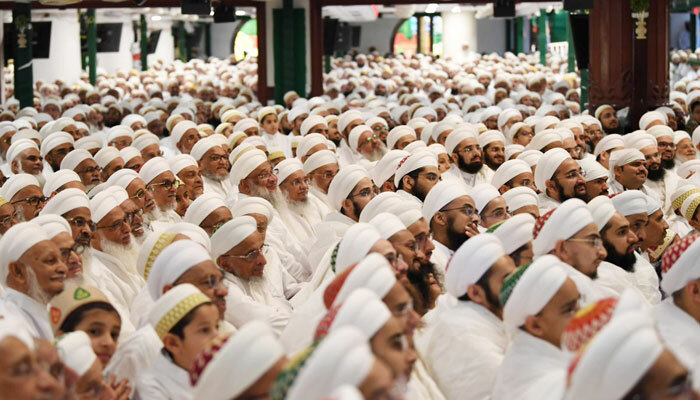 The Indian Premier addressed the Dawoodi Bohra community amid an event organized the group at Indore’s Saifee Mosque, which was also attended by the religious group’s head, Syedna Mufaddal Saifuddin. “The concept of Vasudhaiva Kutumbakam gives a distinct identity to India from the rest of the world and the Bohra community is an example of it," Modi had stated. He had gone on to state: “My relationship with the Bohra community goes way back. I always felt at home with them. Even today the doors are all open for them." Moreover he thanked the community for their services in the state of Gujrat stating: “"Due to your contribution, many villages in Gujarat received drinking water. The community contributed to development in Gujarat." This marks the first time an Indian head of state has addressed a religious congregation of Dawoodi Bohras.